Categories: Classes, eNewsletter, Events, and Library News. 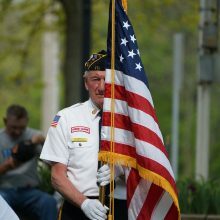 Tags: veterans and writing workshop. Los miércoles a las 6:00 p.m. La Biblioteca Pública de White Plains abre sus puertas a un programa en español para adultos. Si desea terminar su educación primaria o secundaria, o si desea aprender a leer y escribir, venga y le ayudaremos. 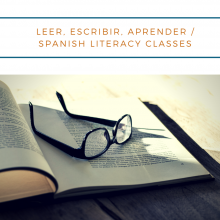 We are currently offering an adult basic education program that teaches reading, writing, math and life skills to native Spanish speakers. Classes are held Wednesdays at 6:00 p.m. Categories: Classes, Events, and Library News. Nuestra clase de educación para adultos en español regresará el miércoles, 18 de octubre. Esta clase enseñará lectura, escritura y matemática para hablantes nativos de español. Las clases se llevarán a cabo los miércoles de 10:15 a.m. a 1:00 p.m., del 18 de octubre al 15 de noviembre. Para más información, llame a Mariel Perez al 914-422-6982. Our Reading, Writing, Learning adult education class returns this month on Wednesday, October 18th. The class will teach reading, writing, and math to native Spanish speakers. The class will run on Wednesdays from 10:15 a.m. – 1:00 p.m., October 18th through November 15th. Categories: Classes, Featured, and Homepage. 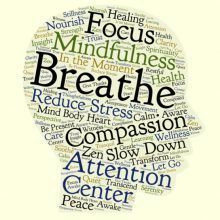 Tags: Meditation, relax, and stress. 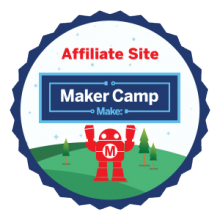 Teens, be part of Maker Camp 2016, a worldwide, online camp sponsored by Make: and Google. We meet every Wednesday starting July 13 at 2:00 p.m. Each week we will be working on a different project and then sharing photos and videos with other campers around the world. This summer's themes are: Things That Go, Mechanical Wonders, Way-out Sound, Sci-fi, Games and Farmstead. No registration, just pop-in for a session. Categories: Classes, Technology, and Teens. Tags: technology, teens, and The Edge. 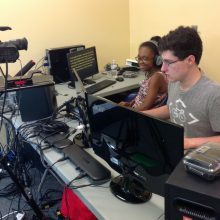 Our TV production camp is back with 2 sessions this summer that run from June 27-July 8, and August 8-August 18, 9:00 a.m.-12:00 p.m. Students entering grades 6-9 in the Fall can come and learn all aspects of creating a short news segment for the Global Ambassadors REACT News station, and eat snacks while doing so. 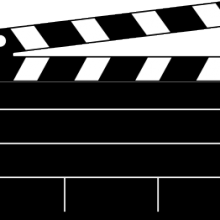 Taught by teachers from White Plains schools, students will learn how to write scripts, interview, film and edit a short video. Space is limited, visit the Library's calendar to sign your children up today. Tags: teens, The Edge, tv production, and workshop. 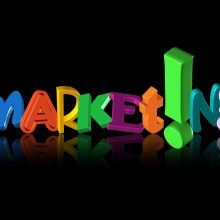 Do you know how to effectively market your business? On May 17th, at 1:30 p.m. come and learn how business owners can create strong marketing strategies to keep their market presence strong. Discover marketing basics such as identifying target markets, pricing strategies, promotion, competition and marketing budgets. Program arranged through the U.S. Small Business Administration. Tags: adults, business, marketing, and workshops. Prepare yourself for the summer job hunt with this workshop taught by Pace University career counselor Susan Eisman on Thursday, May 19 at 7:00 p.m. You'll learn how to present yourself during the job search, starting with creating a resume that showcases your experience. You'll also hear valuable advice for a successful job interview and learn about networking. This workshop is open to teens in grades 7-12; space is limited so registration is recommended. This event is supported by The Allstate Foundation. Tags: jobs, teens, and The Edge. 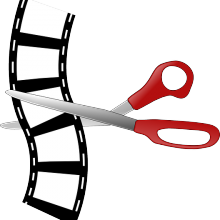 Adult learners will have the chance to edit clips and create his or her own segment using the Lightworks™ Software Application on Tuesday, April 26th from 6:00 p.m. – 7:00 p.m. in the Edge Media Lab. Video editing is fun and available for free on most computers. Equipment is provided; Registration is required. Categories: Classes, Technology, and Uncategorized. Tags: adults, classes, computers, and video. Tags: classes, teens, The Edge, and workshops. On Tuesday, March 8th at 1:30 p.m. a workshop will be given by the Small Business Administration to benefit existing small business owners, individuals getting started in business and those interested in going into business. 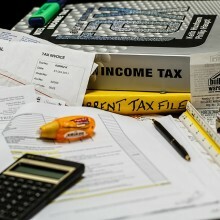 It focuses on the fundamentals of federal taxes for small business owners, including entity choice, record keeping, business income and expenses and estimated tax. No registration required. Please join us. Tags: adults, business, Small business, small business administration, taxes, and workshops. Tags: adults, classes, seniors, technology, and workshops. 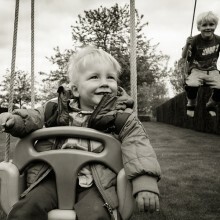 Want to know how to “photoshop” an image? In the Photo Editing Workshop on Tuesday, December 8th from 6:00 – 7:00 p.m., patrons will learn how to manipulate photos using GIMP, a free 2D graphics editor for PC, Mac, and Linux. Similar to Photoshop, GIMP allows users to tweak images for a desired result. Registration required; equipment is provided. Held in the Edge Media Lab. Tags: adults, classes, computers, technology, and workshops. 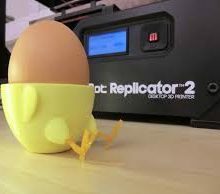 Sábado 28 de noviembre a las 1:15 p.m. Aprenda a usar la impresora 3D y el sistema de diseño por computadora CAD. Esta clase cubrirá aspectos muy básicos de diseño 3D y se discutirá cómo funcionan las impresoras 3D. Limite de 10 personas. Tags: adults, classes, computers, and español. 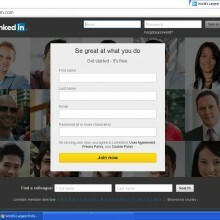 Do you want to create a LinkedIn® (professional networking services) account? Do you already have one but need pointers on how to create a better profile? Come to the presentation given by Rose Macom, career counselor on November 4th at 6:30 p.m. This program is suitable for job seekers and business professionals interested in expanding their network. 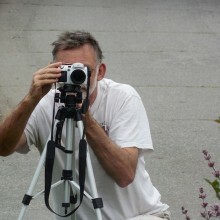 Come and learn how to set up a profile or enhance an existing one. Discover LinkedIn® features and applications and explore how to make connections and network effectively. 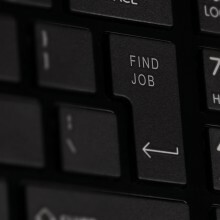 Tags: adults, career, computers, jobs, Small business, and workshops. 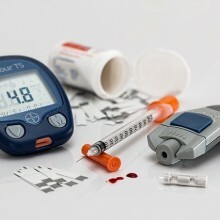 Are you dealing with Diabetes or caring for someone who is? If so, take control of your life! Come to our Diabetes Self Management workshops presented by the Westchester Independent Living Center. Every Monday, November 2 through December 7 from 10:00 a.m. -12:00 p.m. The course is facilitated by two trained peer leaders. Participants are invited to bring a family member, friend and/ or caretaker. Please register online or at the Reference desk. 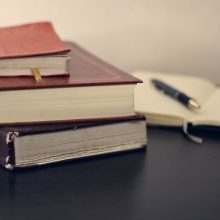 White Plains Public Library and Veterans Writing Workshop are pleased to offer a free creative writing workshop for family members or caretakers of a veteran or active duty service members. The free workshop is open to all writing experience levels. The workshop will take place ten Wednesdays beginning September 16 from 6:30 p.m. to 8:00 p.m. Learn the skills that will help you write your stories. Get valuable feedback and guidance from a published writer. Become part of a supportive community of writers. 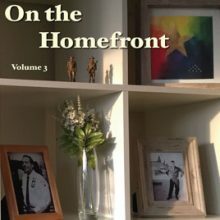 Publish your writing in the Families of Veterans anthology. Class size is limited and registration is required. 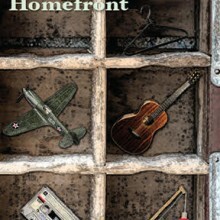 Tags: adults, classes, veterans, workshop, and writing. Tags: technology, teens, The Edge, and workshops. Tags: adults, classes, and ESL.